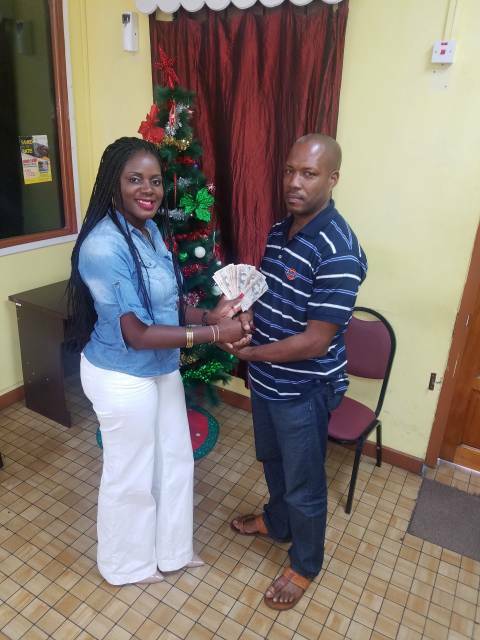 The last winner of the Central Credit Union Ltd (CCCUL) Loan Rescue and Saved by the Rate has received a $1000 cash prize. On Friday January 4th, 2019, Mr. Clement Fan Fan winner of $1,000 from the village of Portsmouth claimed his prize from the CCCUL Rescue & Saved by the Rate 2nd of 2 draws. The winner is elated and describes Central as a good institution. “The best place to do business, to take loans and to save is at the Central Credit Union. It’s for the poor people; and they give good customer service.” Mr. Clement Fan Fan. The CCCUL Rescue or “Maria Assistance” & The Saved by the Rate or “New Mortgage” loans were launched in April 2018 in which loans were being given at a 4.75 % rate to encourage members to take advantage of getting homes up to Hurricane standards.The Rescue promotion ended on November 30th, 2018 and the Mr Fan Fan was deemed winner of the raffle in December however he claimed his prize on the 4th of January 2019.